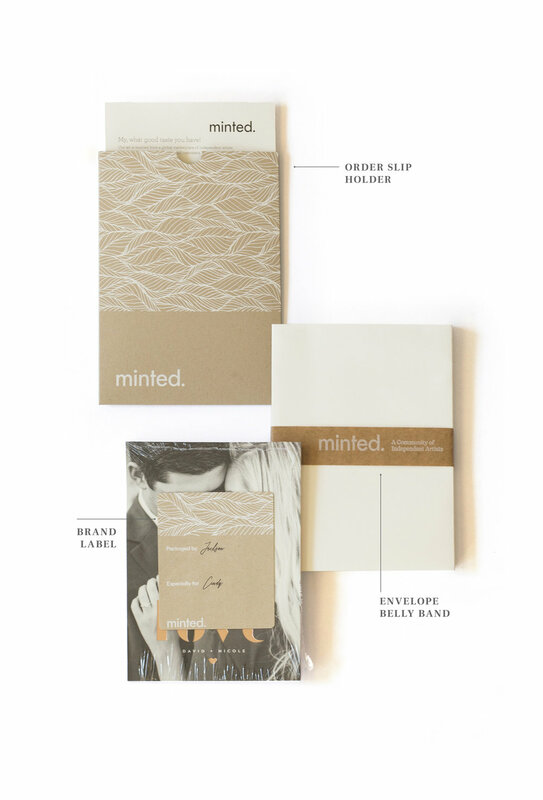 In 2018 Minted refreshed its brand. 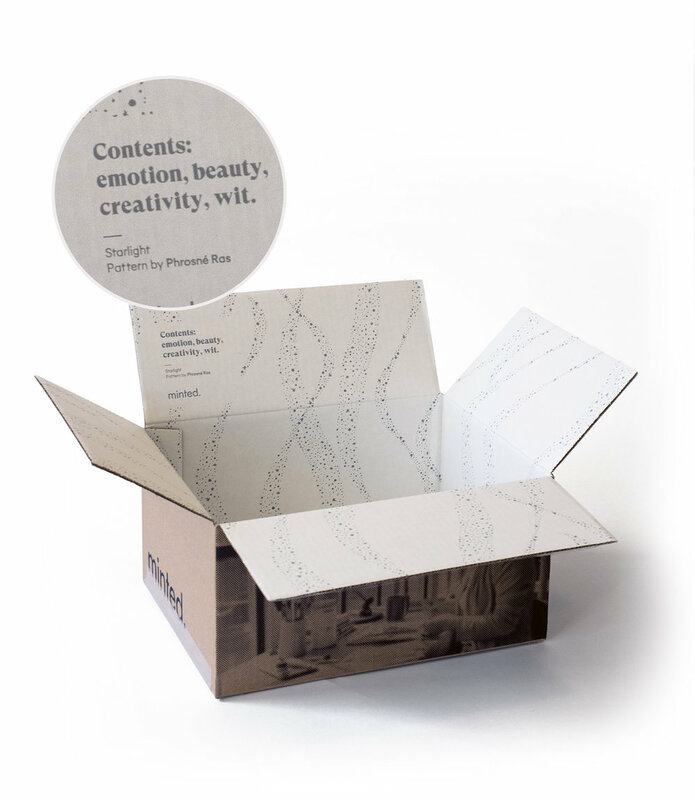 The goal was to update to a modern, design forward look, while maintaining the core artistic and luxury principles of the brand. 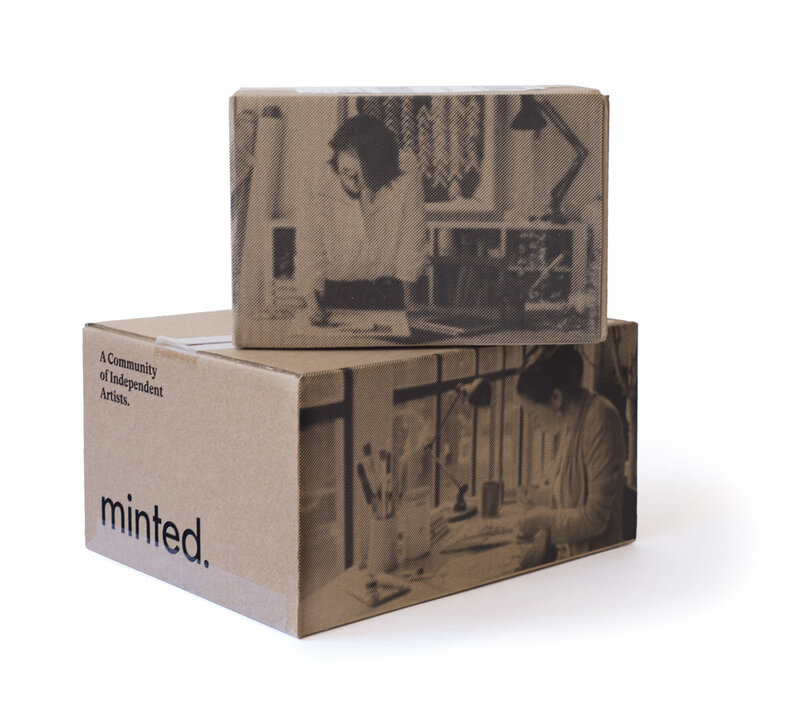 Halftone images of our artists on the exterior of the boxes evoke the feeling of independent zines—paired with unique and refined patterns they combine for a refined look that communicates our ongoing support of independent artists.